What do you do if you haven’t fought in two years and then knock out a fierce rival? Sink to your knees in celebration? Thank the adoring crowd? Juan Manuel Lopez chose an alltogether different option and astonishingly tried to knock out his super featherweight opponent’s cornerman. 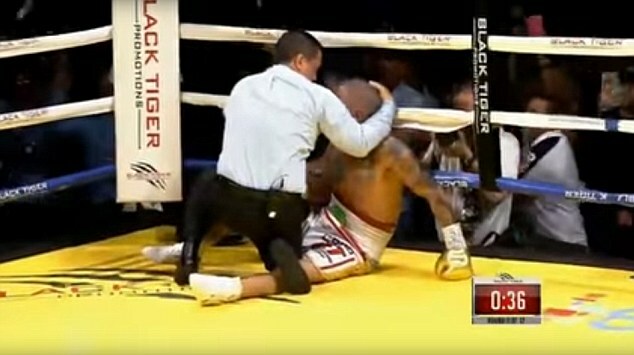 The Puerto Rican had forced the referee to call a stop to the contest with a brutal barrage against Wilfredo Vazquez Jr in the 11th round. 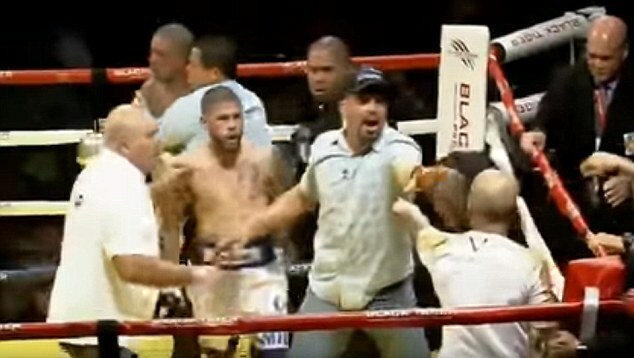 He then immediately engaged in an argument a member of Vazquez’s team who had come into the ring. What followed was a frenzied an utterly bizarre 10 seconds where both men exchanged blows before they were separated and security piled in to soothe the situation. Both fighters are Puerto Rican and former world champions. There had been a bitter build-up to this fight which accounts for the post-fight melee. Lopez had lost three of his last four bouts after being stopped each time inside four rounds but clearly could not get enough of the action on the night. 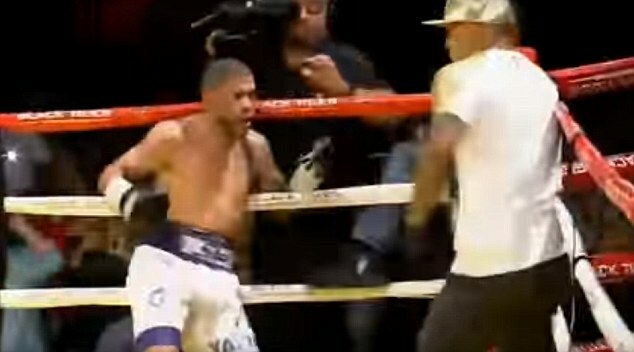 After being out-boxed and out-foxed in the early rounds, he began to turn the tide with heavier shots landing on Vazquez. 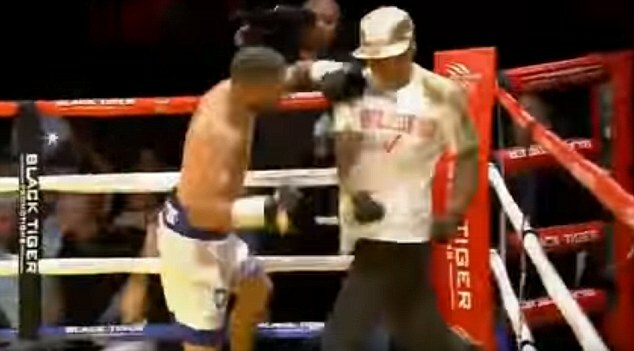 Once the referee had waved off proceedings late-on and Lopez tried to fight his opponent’s team, the two pugilists embraced to add a strange finishing touch to a night of mayhem.